We are here to help you along the process by working with you and your insurance company to get your vehicle back on the road as quickly as possible. We pride ourselves in auto body repair and customer service and we always work hard to ensure that we provide you with the best customer experience. In need of Auto Body Repair? 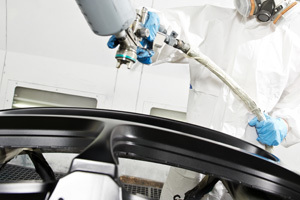 Collision Repair Services? Contact us today & let our team of experts in auto body service & repair handle everything! Foreign Car Body Shop of Birmingham, AL has years of experience serving Birmingham and surrounding areas. Located in Birmingham, AL, we pride ourselves in our professional collision repair and our excellent customer service. We understand that accidents, auto body work, and collision can be very stressful. That is why we are here to help you along the process by working with you and your insurance company to get your vehicle back on the road as quickly as possible. Our trusted local technicians have years of experience on handling any auto body repair service to keep you running trouble free.